Are you planning on buying a printer? Note that there are several things to consider before buying one. To make the decision a bit easier, we have put together a checklist of things to consider when buying a printer, and listed a few printer types and how they work. First of all, we’ll run through the most common printer types and their main use. Inkjet printers use ink cartridges with water-based ink. 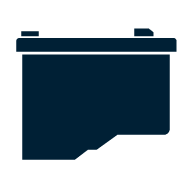 Together with laser printers, they are the most common and cheapest printers on the market, and work best for printing photographs and graphics. They are slower than laser printers, but can handle more types of paper, giving them a wider range of use. The laser printer uses toner cartridges that contain a fine, plastic-based powder and carbon particles. They are the fastest printers today and best suited for printing text. The toner cartridges are more expensive than ink cartridges, but in return, last much longer. A multifunction printer is an Inkjet or laser printer that combines printer, scanner, copier and fax in the same product. It often takes more space than just a printer, but is cheaper, and smaller than if you buy all the parts separately. The additional features work without a computer if you connect a memory card or USB memory card. 3D printers build physical objects based on drawings. These printers differ from traditional models in that they can build three-dimensional objects of plastic, metal, wax or ceramics. 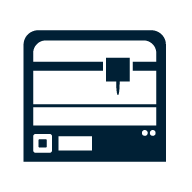 3D printers can be used at home, for example, to make your own egg cups or plastic parts for model cars, but are still most common in the commercial environment, although they are becoming cheaper. The dot matrix printer is the precursor of the inkjet and laser printer. Today this type of printer is very rarely used, but is still possible to find, especially where low cost is more important than good print quality. They use needles that tap on ribbons and are the loudest of the printers today with their characteristic sound. Large format printers are larger printers for professional use. They often use paper rolls, instead of sheets of paper, to handle large drawings, and can also print photographs directly on fabrics specially crafted for the purpose. The cost of large format printers is significantly higher in both purchases and materials, so they are not usually found in regular homes. The printer resolution refers to how many ink or toner points it can place per inch. Multiple points allow more detail and thus create sharper prints. 1 200 dots per inch is common, but some printers can handle up to 9 600 dots. What’s most important is that you are familiar with the optimal printer resolution, that is, the resolution for which the printer is designed. Resolutions over the optimal allow the printer to go over several times in the same place to place more ink or toner. A higher resolution means greater consumption and greater printing costs. A 9600 dpi point print consumes 16 times more ink or toner than a 600 dot. The result will be better, but only to some extent. If you print photos for example, you can notice a difference, but with just plain text it’s recommended that you do not exceed the optimal resolution. Printer resolution should not be confused with scanner resolution, something completely different. Scanner resolution uses a sensor that converts light to digital signals, which then creates the finished image. Thus, these are completely different technologies and scanner resolution has nothing to do with the quality of printed images. If you print photographs, high resolution isn’t quite enough. The colour depth of the printer is also important. The colour depth indicates how many shades can be printed. A printer capable of a 48-bit colour depth (also called deep colour) gives 281.5 trillion colour shades. It's more than enough for all possible scenarios and far more colours than one usually needs. Significantly more common is a 24-bit colour depth, also known as true colour, which gives 16.7 million colours. Significantly worse than a 48-bit it may seem, but don’t be fooled by the numbers when true colour is capable of very natural-looking colours with the right printer. What does 24 bits mean? It means that the printer can handle 256 colour shades of red, green and blue (256 x 256 x 256). Together, they provide 16 777 216 colour shades to choose from – more than the ten million colours that our eyes can discern. The number of ink cartridges or toner cartridges the printer has space for depends on the type of printer you choose. 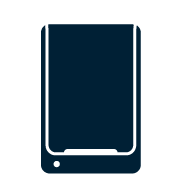 Photo printers often have more space than models that are primarily intended for text printing. Colour printers normally have space for four colours, while in some cases photo printers can have up to twelve spaces for extra good results. The main colours are black, cyan, magenta and yellow. The extra colours are a brighter cyan and magenta, as well as shades of grey and black. There is also a printer with space for a special cartridge that contains a liquid that is located between the print points. The fluid makes the transition between shades better. Some printers use three-colour cartridges in the same capsule. These should be avoided as some models won’t print if one colour is empty. Black is the colour that most often runs out first and if you have a three-colour cartridge, the printer may refuse to print even if the other two colours are intact. Laser printers usually take longer to print the first sheet, as the printer needs to warm up before it can start printing. Once ready, it’s fast and usually can print up to 20 sheets of text every minute. Inkjet printers don’t need to warm up and therefore can print directly. In return, printing speeds are often lower, although some models can compete with laser printers. 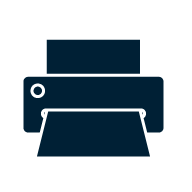 For faster prints, you can manually reduce the resolution, for example, from 600 points to 300 points, or set the print quality in print settings to draft. The amount of ink or toner required becomes smaller, which speeds up the printing. Printing costs vary widely between different printers. Therefore, one should check what the actual cost is per printed page. 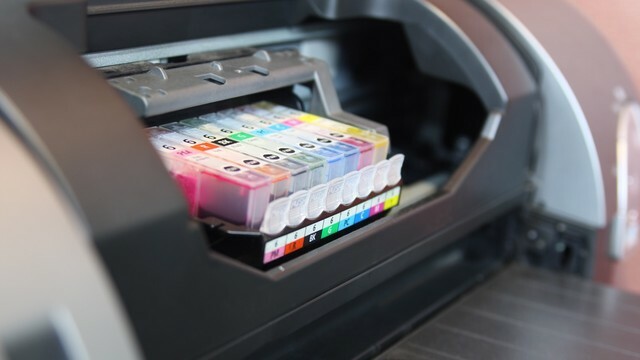 The risk is that the cheap printer will eventually be an expensive investment when ink or toner has to be replaced more often than you anticipated. Many manufacturers indicate an approximate cost per printed paper on their website and independent tests are also a good way to form an opinion. If you want to reduce the printing cost, there are some practical tips to help you - read more about them further down the article. When you buy a printer, it almost always comes with cartridges or toner cartridges. Keep in mind, however, that these are never full but come with a limited amount of ink or toner. If you have bad luck, only a few prints will be printed before you have to buy a new one. If you have many spaces in the printer, the cost can be really high to change them all at once. Sometimes higher than what the printer itself cost if it's a budget model. Duplex printing prints on the same paper without manually reversing the sheet of paper. 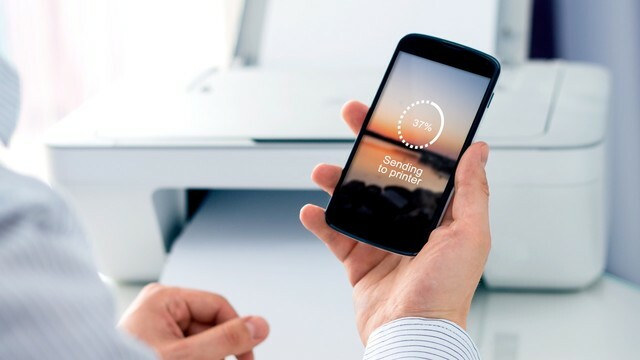 This feature is becoming more common in printers and helps save on paper usage. What happens is that the printer finishes one side, pulls the paper back and turns it over to print on the other side. Make sure that you have thick enough paper so that the printout is not visible on the reverse side. 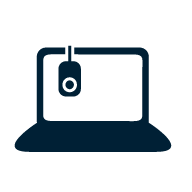 Most commonly a USB port is used to connect a printer to a computer. If you have multiple computers or want to print from mobile devices like phones and tablets, a network connection is better. This connects the printer to a router that shares the printer on the network with all connected devices. A direct printing standard from a camera without the need of a computer. The camera is connected via USB cable. Excellent if you want to print photos without image processing on your computer. Insert the memory card, choose your photos and the printer takes care of the rest. For best results, we recommend that the images are edited in an editor such as Photoshop or Lightroom first. Scanner multifunction printers can often scan directly to a memory card. Like a memory card slot, a USB port is used to connect media with images. Plug in your memory stick, select the pictures and print. Here too, the scanner can save images instantly without a computer. 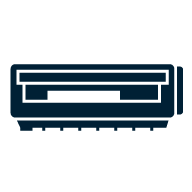 Keep in mind that the USB port on the back of the printer is often used to connect to a computer and that front ports are for the memory stick. Whether you connect your printer with a USB or network cable, cloud connection is often possible. This means that you can print through different services wherever you are. For example, Google has Google Cloud Print that works with all printers. 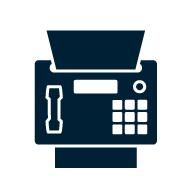 Several printer manufacturers also have their own solutions, specially designed for their printers.